One of the first guys I met when I started college in the fall of 1977 at Iowa State University in Ames, Iowa, was an upperclassman by the name of Duane Morrison. A bespectacled Iowa farm boy, he was at an agriculture school to study . . . agriculture. Go figure. Duane and his roommate, another upperclassman named Al Steinbach, lived right next door to me and my roommate Billy, in the dorms. A native New Yorker, Al apparently had decided to go to college in the heartland to study – best I could tell as a young, impressionable freshman – hillbillies. Since I lived right next door and appeared early on to be one of the new subjects of his study, he was in the right place. The thing about Duane was that he had an advanced appreciation of music in 1977, especially vinyl. Duane and Al had the best record collection on our dorm floor, and whenever I happened by their room and the door was open, they’d invite me in to listen to records. And nearly every time I went in there, Duane had a particular artist on the turntable that he was absolutely enamored with. I had never heard of the guy, some dude from the East Coast. I’d listen to the record, but it really didn’t do much for me. I’d shrug my shoulders and politely shuffle my hick behind toward the door as Duane would encourage me to listen more closely and appreciate the music. “You wait, this guy is going to be a big deal,” Duane would say. The artist was Bruce Springsteen. 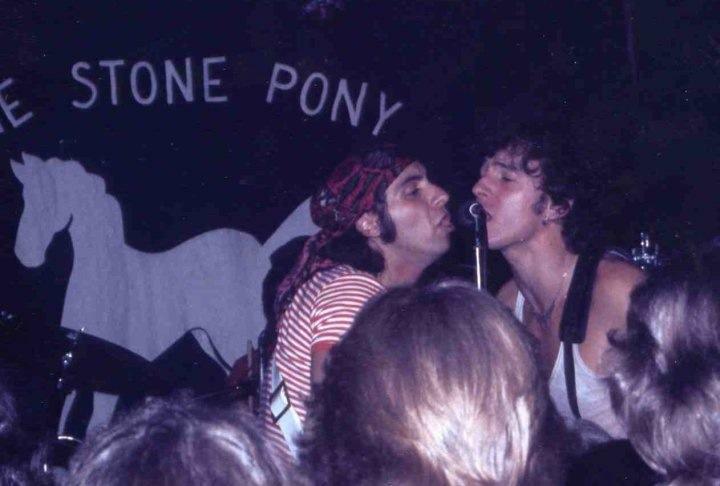 The album was “Born to Run” from 1975. I didn’t pay any attention then to Duane, and for many years after, on the topic of Bruce Springsteen. Moving east in 2000 and a renewed interest in music over the past 15 years brought me to the Springsteen party quite late. And with the encouragement of a few close friends who happen to be Springsteen diehards, I’m now all in for The Boss. In fact, Steven Van Zandt of Springsteen’s E Street Band was interviewed for The Vinyl Dialogues. One of those Springsteen devotees is my friend Gordon Glantz. He and I have been colleagues in the media business for years. Gordon is a brilliant writer so I am not unbiased when it comes to his work. And now Gordon is in the music business himself. 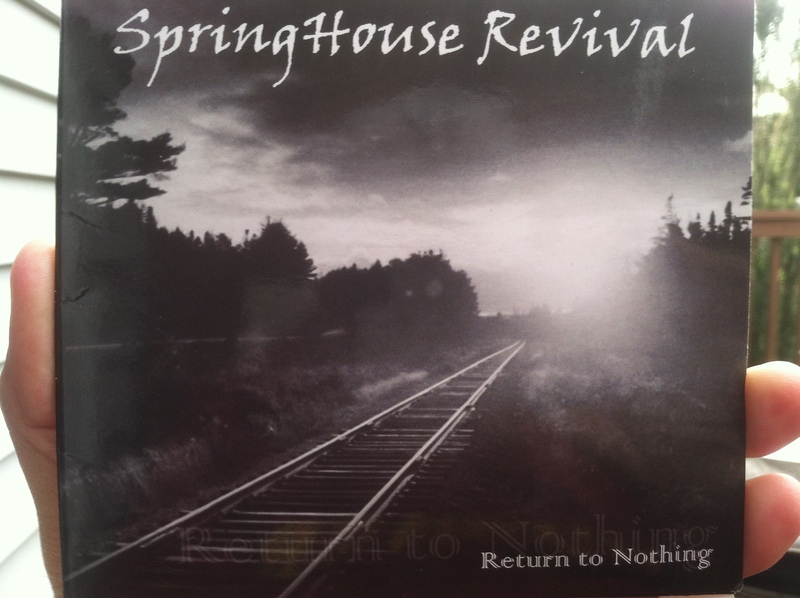 He and his song-writing partner, Terri Camilari, call themselves SpringHouse Revival and have just released their first album “Return to Nothing.” Gordon penned the lyrics, as well as arranged and co-produced with Glenn Barratt of Morningstar Studios in East Norriton, PA. Meanwhile, Terri composed the music and handled the vocals on this record. If you’re in the suburban Philadelphia area, there is a “listening party” to debut the album on Sunday, Nov. 9, from 6 to 9 p.m. at Greco Roman Restaurant on West Main Street in West Norriton, PA. The public is invited. I’ve come to appreciate the Philadelphia music scene over the years. There are a lot of great local artists putting out some pretty good stuff. They don’t get the recognition of the big-name artists, but they’re inspired people who are working hard, living their dreams and putting their creative efforts out there for people to see and hear. And I try to support their efforts by buying their CDs and attending their concerts. I’m not a record reviewer, but I know what I like. And I like “Return to Nothing.” The release, which is available on iTunes and numerous other sites (CD Baby, Amazon.com. Google Play, Spotify, etc. ), features 14 original songs. Gordon’s lyrics are mature and sophisticated and Terri’s compositions and vocals perfectly complement the material. And they’ve hired some ridiculously talented musicians – such as guitarist Tom Hampton (another friend of mine), drummer Grant MacAvoy, cellist Michael G. Ronstadt, viola player Larry Zelson and Barratt on keyboards and bass – to help them make their dream come alive. Gordon helped me see the light when it came to Springsteen, and that gives him musical credibility with me. So I’m happy to be in on the ground floor of support for his project. Check it out when you get a chance. The SpringHouse Revival website is http://www.springhousesongs.com. There is a Facebook page was well that you can “like” for updates. This entry was posted in Guest Writer, Music, Slice of Life on November 7, 2014 by gordonglantz.